Teacher Franca Mambro, Principal Daniela Lattanzio and students. Six elementary schools participated in a contest sponsored by the EMSB and Montreal-based energy efficiency solutions company Energere to help promote and raise awareness of energy efficiency and protecting the planet. This contest coincides with the recent announcement of an ambitious $24.6 million project, in which 17 EMSB schools and centres were chosen to help bolster energy efficiency by modernizing and renewing their equipment, so that they could significantly reduce energy consumption and greenhouse gas emissions. Each participating school received a drawing of a tree on an eight foot by eight foot piece of coroplast poster board. Each student then had to cut out a leaf or petal from a piece of paper, write their own idea on it regarding how to save the planet, and then paste the leaf or petal on the picture, which created a unique-looking landscape. Prizes will be awarded for the three best ideas in each school and the winning landscape picture will go on display at the EMSB head office. The six elementary schools that participated in this contest, and are also part of the energy efficiency project, were Pierre Elliott Trudeau School in Rosemount; St. Gabriel School in Pointe St. Charles; Gerald McShane School in Montreal North; Dante School in St. Leonard; and East Hill Elementary School and Michelangelo International in Rivière-des-Prairies. The judges visited each school, and were highly impressed by the beauty of each student's designs and the obvious concern they showed for the health of our planet in their messages. They chose winning messages that were judged based on their originality, beauty, and respect of the theme. Judges were also mandated to choose one tree out of the six participating schools as the winner. This tree, which was judged on its beauty, will be displayed at the EMSB building. Congratulations to Dante Elementary School for creating the overall winning tree! Our judges were dazzled by the artistic finesse, attention to detail, and thought that went into growing Dante’s tree. Under the creative guidance of Art Teacher Franca Mambro, this tree has an immediate visual impact; a veritable feast for the eyes and senses. And the impact continues as one takes the time to examine all that grows within this work of art. Highlighted by its sky blue background, this tree is an experience of four seasons, from snowy leafless branches to crunchy orange and red fall leaves, to vibrant greens. Using textures and different mediums, the realism of each leaf is impressive. Creative additions include a birdhouse, bird’s nest, maple syrup bucket, birds, snails, an earthworm, and a Dante school plaque. The Dante project was chosen first. 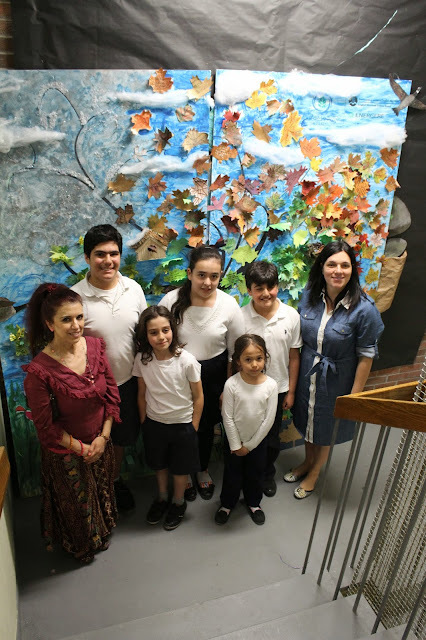 Pictured left to right are: Art Teacher Franka Mambro with winners Adamo Capone, Myreko Montanaro, Gabriella Gagliano, Liane Grise, Matteo Pisano, and Principal Daniela Latanzano. Missing from photo: Giovanni Mainella. Mr. Stocker will be replaced on an interim basis by Deputy Director General, Administration Division, Angelo Marino. A selection process will be activated immediately in order to have a new Director General in place before the beginning of the 2015-2016 academic year. The new EMSB organigram will have only one Deputy Director, Education Division, compared to the two presently in office. The Council of Commissioners has announced that Paola. Miniaci will remain in that post while Roma Medwid will be placed on special assignment, as of July 1. 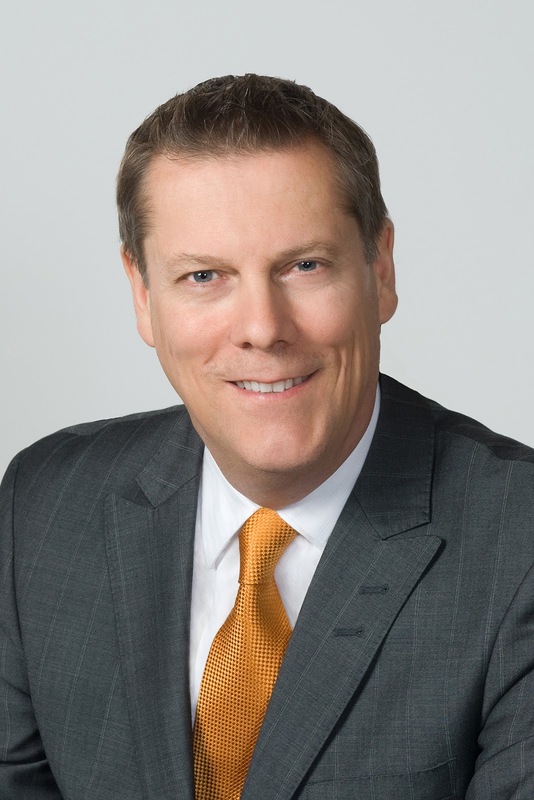 Stated Mr. Stocker: “There are moments in life when one needs to take a step back to assess how to best attain professional goals and still pursue personal interests. In the past few months I have taken the opportunity to assess how I can best serve the EMSB as it faces new challenges and moves in new directions." Here is the entry they submitted: CTV Montreal has maintained its spot as the top-rated English newscast in the city for decades, thanks in part to its strong community ties. Our annual Spirit of Giving campaign, an award-winning station initiative, plays a key role. Every December, the campaign engages with businesses and schools that collect thousands of food and toy donations and distribute them to Montrealers in need. Our on-air talent visit schools for live interviews about the impact of the campaign. Our strategy for this promo was to create a series of images that evoked the simplicity and purity of giving through the eyes of a child. To that end, the drawings were all done by school children who were simply asked "what does the spirit of giving mean to you"? We then had our graphics department bring an aspect of each drawing to life. The concept plays on greeting cards, gifts and holiday magic. Our news anchors deliver the message and appear at the end of the spot. A record number of donations were received. The winners will be announced at a ceremony on June 25 at The Mirage in Las Vegas. Here is a link to the video. NATIONAL TEACHERS DAY AWARDS: On the occasion of National Teachers’ Day May 7, the EMSB recognized two teachers with a special awards from P.F. Chang’s China Bistro at a ceremony at Honoré-Mercier Elementary School in St. Léonard. Emile Haykal, operating partner for the P.F. Chang`s location on Rue des Jockeys near Decarie Boulevard and Jean Talon, presented Honoré-Mercier Kindergarten teacher Nancy Omobono and Rosemount Technology Centre (RTC) cabinet making instructor Eliane Kinsley with $100 gift certificates to the popular restaurant, known across the globe for its Asian fusion cuisine. Left to right: Emile Haykal of P.F. Chang’s, teacher Nancy Omobono, Principal Donna Manos and students. A number of the school’s parents nominated Ms. Omobono for this honour in the EMSB Express. At the school, she is known as both Miss Nancy/Madame Nancy because she teaches English one day and French on the others. On alternate days, she wears her hair in ponytails and is Mme Nancy so the kids always know who she is! “She knows how to engage young minds and bring out the best in all her students,” said the nomination from parents. Ms. Omobono has been teaching for 19 years, 18 of those at the Kindergarten level and at Honoré-Mercier. Ms. Kinsley was recently integrally involved with a project of building two kitchens for Habitat for Humanity, a non-profit organization that helps house low-income families. Students were involved in every step of production, from on-site measurements to the final tweak of a screw to adjust the cabinet doors. Six months ago, many of them had never used power tools. RTC Cabinetmaking began the collaboration with Habitat in 2013 with the construction of two kitchens for a duplex in the east end of Montreal. The project was a success with students and “we would love to make it a tradition – it’s a great example of collaboration between community, education, and industry,” says Ms. Kinsley, who initiated the project. See the press release, video and photo album. SCHOLARSHIP WINNERS: Three teachers from the EMSB will be presented with scholarships from the Riva and Thomas O. Hecht Scholarship, Teaching of The Holocaust for Educators Program for a three week experience at the Vad Vashem Holocaust Memorial in Israel next summer. Chosen from among many applicants were Lev Berner from Vincent Massey Collegiate in Rosemount, Nechama Surik from the Shadd Health and Business Centre and Marie Francis from John Grant High School in Côte Saint-Luc. John Grant Principal James Fequet, Lev Berner, VMC Principal John Pevec, Robert Stocker, Angela Mancini, Marie Francis, Commissioner Joseph Lalla, Shadd Principal Silvana Crigna and Nechama Surik. This is the 10th year of the project and over that time a number of EMSB teachers have travelled to Israel and returned with interesting options for their respective curriculums. The awards will be presented at a Gala Dinner on June 17. At the May 27th EMSB Council of Commissioners meeting ,they were recognized. Each of the teachers will take part in a professional development program under the direction of the Faculty of the Yad Vashem Seminars for Educators from Abroad, International School for Holocaust Studies. The goal of the program is to provide professional development activities to teachers for teaching about the Holocaust and anti-Semitism to students ain the youth Sector. Each recipient will be asked to create at least one teaching unit or module developed within the context learned. EMSB TV: The EMSB posts links to television and radio reports, as well as videos produced in-house on our website. EMSB TV is hosted by Vimeo and we have sections for EMSBTV productions, EMSB Media Coverage as well as videos created by schools, amongst others. You can access it here. EMSB RADIO: EMSB Radio can now be heard via SoundCloud, the world’s leading social sound platform. Sound Cloud can be accessed anywhere using the official iPhone and Android apps, as well as hundreds of creation and sharing apps built on the SoundCloud platform. You can access it here. ANGELIKE VISITS DANTE: On May 6, Laurier Macdonald High School Secondary V student Angelike Falbo, a finalist of the popular TVA French language television show La Voix (The Voice), took part in an Empathy and Kindness workshop for the students at Dante Elementary School. Spiritual Community Animator, Vince Lacroce, along with Angelike, organized a school- wide assembly addressing the importance of being kind to one another. Angelike shared her firsthand account of being bullied in elementary school and how she overcame her struggles. Students created an art piece entitled “make a change” whereby all the students wrote words of encouragement and or change. Meanwhile, Angelike has confirmed that she will give a solo performance on Saturday, July 4 at the Leonardo Da Vinci Centre in St. Léonard. A Facebook event has been created. There is also this website. COLOUR RUN IN WESTMOUNT: On Sunday, May 10, the staff at Westmount Park Elementary School took part in the Colour Run, an event series and five kilometre paint race that is inspired by the Hindu festival of Holi. It takes place in North America, South America, Europe, Asia, New Zealand, Australia, and the UAE. The untimed event has no winners or prizes, but runners are showered with coloured powder and slime at stations along the run. Being a non-profit organization, all proceeds of the event go towards aiding local Montreal non-profit organizations and charities. The RAD event was a great opportunity for the staff of Westmount Park School to come together in order to give back and support local charities while having fun as a school team. “We hope that this race becomes a yearly event for the Westmount Park School community,” said Principal Robert Di Marco. INSPIRATIONS NEWSPAPER: The Spring/Summer 2015 edition of Inspirations Newspaper, a snapshot of the special needs community, has been published. A project of the EMSB Communications and Marketing Division and the Student Services Department, this 40 page publication is distributed to schools, CEGEP, universities and special needs institutions across Greater Montreal, Laval and the South Shore. In this edition there are stories on dwarfism, March of Dimes, Lego Therapy, sledge hockey, the YCC special needs family camp, managing editor Wendy Singer`s notebook full of items, entertainment and travel. You can read the entire edition here. Nick, Mary, Anna and Manoli. NICK KATALIFOS IS A CJAD HERO: Congratulations to Nicholas “Nick” Katalifos, who was nominated by Inspirations Newspaper as CJAD Radio’s Hero of the Month. Nick officially received the honour on May 13 and a well-deserved one at that. By day, he is the principal of Roslyn Elementary School in Westmount. 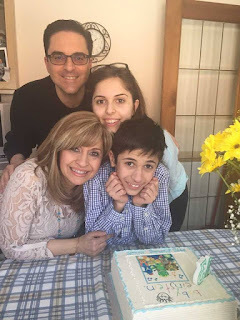 While he prides himself on an endless array of other commitments, notably with the organized Greek community, he is a devoted husband to Mary and a caring dad to daughter Anna, 17, and son Manoli, 13. Nick serves as the chairman of Giant Steps School and Resource Center, the only educational and therapeutic institution in Quebec that caters exclusively to teaching children with autism. The school provides access for children and families affected by autism, to a team of specialized professionals. Among their services are speech therapy, occupational therapy and social skills, as well as essential skills of daily living and behaviour management. Manoli was diagnosed as autistic when he was three. A year later, he was enrolled in Giant Steps, which caters to students aged four to 21. 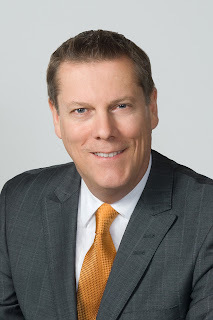 “My wife and I have seen an incredible amount of progress in our son since he got there for which we are very grateful,” said Nick, who was a candidate for city council in the last Laval election. To see the CJAD video on Nick log on to www.cjad.com/heroes. LONG SERVICE: About 87 people attended the annual Long Service Reception, which took place on May 5 at the Le Challenger reception hall in St. Laurent. The EMSB honoured 54 employees – ranging from teachers, administrators and support staff -- for their 25 years of service with the Board, which began in 1990. EMSB Chairman Angela Mancini, Deputy Directors General Roma Medwid, Angelo Marino and Paola Miniaci, along with several commissioners, school administrators and the directors from Adult Education and Vocational Services, the Administration Building, Office of the Deputy Director General and Information Technology Services, presented the honoured employees with special 25 years EMSB Monarch watches as a token of appreciation. The honourees who were present this year were: Maggie Aboud (Financial Services); Cathy Bensmihan and Paula Schwartz (Gardenview School); Gilles Boudreau, Peter Leonard, Kyme Mummery, Eric Provencher and April States (Information Technology Services); Nathalie Brault (Leonardo Da Vinci Academy); Nancy Caridi-Mancuso (Coronation School); Deborah Colton (Mackay Centre School); Marie Ines Da Costa (Rosemount Technology Centre); Maria Di Paolo, Ronald Proud and Cynthia Morris (James Lyng Adult Education Centre); Clifford Dolphy (Westmount High School); Celine Elbaramelgui (Cedarcrest School); Stéphane Fortin (Elizabeth Ballantyne School); Mary Gouskos (Adult Education & Vocational Services); Judith Haziza (Merton School); Ann Hoppenheim Rogers and Halina Waverchuck (Venture High School); Carol Jazzar (Student Services); Mona Kamel (Office of the Deputy Director General); Anna Manfredi (John F. Kennedy Adult Education Centre); Domenica Mendicino (Material Resources); Harold John Pike (Parkdale School); Santa Salucci (Galileo Adult Education Centre); and Silvana Silverstrin (Nesbitt School). See the photo album here. SPARTAN RACE: Jeffrey Beausoleil was born without his right arm and leg due to a congenital malformation. But that has not stopped him. A Shriners Hospitals for Children – Canada patient, Beausoleil participated in The Spartan Race on May 23. He shared his message of determination and courage with EMSB primary students on May 11 and 15. Spartan Races are all about big obstacles, fitness, adventure and outdoors. Some serious competitors train for months. But Jeffrey, 16, proves that you can do anything you set your mind to. He ran a Spartan Race on May 23 - with mud, water and obstacles - with prosthetics on both his right foot and hand. “I ran a race last year and realized it was 90 percent mental and 10 percent physical,” he says. “I know that if I want to do it, I can.” In addressing students at Edinburgh, Parkdale and Cedarcrest Elementary Schools, Beausoleil shared his story about growing up needing prosthetics, demonstrating how he uses them, and discussing the amazing work done at the Shriners Hospitals for Children – Canada in Montreal. He tells children, “I am not different. I am differently-abled.” Beausoleil showed students that he lives a normal life, loves Netflix and sports, his dog and his girlfriend. This inspirational young man was flooded with questions from all of his audiences, from how it feels to wear a prosthetic to being bullied as a child. His advice to those who are bullied? Tell someone, which was a strategy that served him well. Go to www.spartanrace.ca to learn more about Spartan Races and to view the upcoming race schedule. See this CTV report. ST. DOROTHY VIDEO: The St. Dorothy Elementary School staff, including IT facilitator Sherron Anglin, wisely integrates Information and Communication Technologies (ICT) within the curriculum to support, sustain and improve learning. ICT integrated inclusive classrooms will provide a wide variety of learning experiences, and will ensure that all learners will develop the skills necessary to validate (i.e. to select, compare, analyze, discriminate and synthesize) electronic information. See this nice video they produced and notice the impecccable bilingualism. EBS AT ETIQUETTE BOOK LAUNCH: Some students and staff from Elizabeth Ballantyne Elementary School in Montreal West participated in the May 20 launch of Nancy Kosik’s new book Guiding You in the Right Direction: Basic Day-to-Day Etiquette. It took place at Paragraph Bookstore downtown. EBS teacher Suzanne Englebretson, brought Ms. Kosik into her Grade 5 class for a 12-week period to focus on etiquette. Students AswiniiSenathirajah and Qasim Mughal spoke at the launch, lauding the value of the book and the lessons they learned. Here Ms. Kosik presents them with framed certificates from her Nancy Kosik Academy of International Protocol and Etiquette as Ms. Englebretson and child care worker Colette Holder look on. 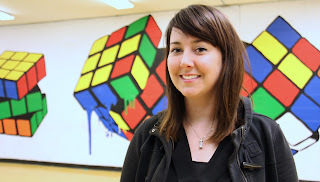 Ms. Kosik has worked elsewhere at the EMSB, including Westmount High School, St. Raphael High School in Park Extension, Mountainview Alternative High School in Côte Saint-Luc, Marymount Academy International and Royal Vale Elementary and High School in NDG, Laurier Macdonald High School in St. Léonard, Gardenview and Parkdale Elementary Schools in St. Laurent and Leonardo Da Vinci Academy in RDP. For more information, log on to www.nkaipe.com or email info@nkaipe.com. See the full press release here. HEART FOR ART VERNISSAGE: The students of John F. Kennedy High School in St. Michel hosted a Heart for Art Vernissage on May 13 at Centre Leonardo Da Vinci in St. Léonard. CAFÉ ART SHOW: Westmount High School’s second annual Café Art Show, "LOOK OUT" continues until the end of May, featuring a selection of work in diverse mediums by senior students at Kokkino Café (5673 Sherbrooke St. W. (corner Harvard) in NDG. Evan Goulet and Dylan Morand-Forrest (pictured), two Secondary IV students with pieces showing The show runs at Kokkino Café until the end of May, and features a diverse selection of work from Secondary IV and V students. ALLERGY AWARENESS: Kyle Dine, an educator and musician who performs at schools across North America raising food allergy awareness, will make his first visit to Quebec on Monday, June 15. He is scheduled to present at three assemblies (9:20 a.m. 9:20 a.m.; 10:15 a.m. and 11:30 a.m.) at Gardenview Elementary School (700 Brunet Street) in St. Laurent. Over the past six years, Dine has performed at over 300 schools for over 125,000 students. He has grown up managing his own allergies to peanuts, tree nuts, eggs, seafood and mustard. His songs help empower, support, and educate all children. With a guitar slung over his shoulder, an EpiPen® on his belt, and a cast of zany puppets accompanying him, he tells students what they can do to help keep others with allergies safe. After growing up with multiple food allergies himself, he has a lifetime of stories and experiences that he shares with students while answering their questions. Calum Worthy, Noah Munck and some delighted Gardenview students. 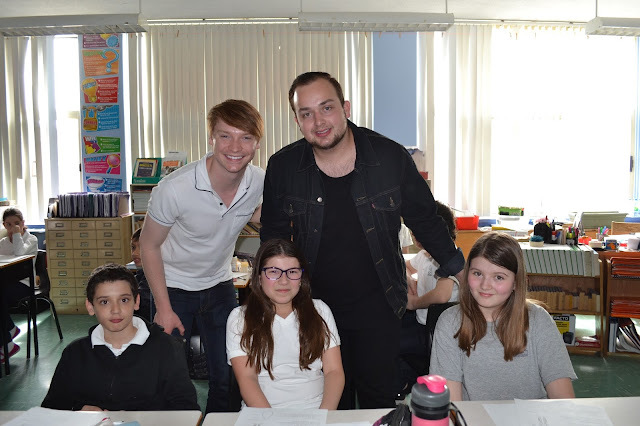 TV STARS VISIT: Gardenview students were pleasantly surprised recently with a visit from the Disney Channel tween stars Noah Munck and Calum Worthy (Dez from the show Austn and Ally). There was nothing greater than witnessing the students' star-stricken faces as they went wild. Watch the video below for yourself. 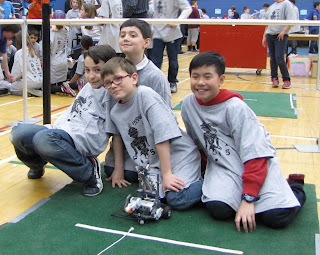 SPECIAL ROBOTICS AT MACKAY: Two groups of Grade 1 and Mackay Centre School students in NDG participated in this year’s FIRST® Junior LEGO® LEAGUE (Jr.FLL) Robotics Competition. Caspar Aarlit Jensen, program and partnerships officer at The LEGO Foundation in Denmark, visited students at school. The Mackay Center School educates children from across Greater Montreal with motor, speech or sensorial difficulties. Montreal schools from various boards, including the EMSB, Commission scolaire de Montréal and the Commission scolaire de la Pointe-de-l'Ile participated in the Jr.FLL in Montreal from March 19 to 21. The Mackay Centre School participated in the aged six to nine year-old category. The competition, funded by FIRST and The LEGO Foundation, is a Think Tank Challenge that aims to redefine learning. Students were asked to choose a place they could learn something, a specific tool they could use to gather information and find out more about it, and show what they learned through building and displaying a LEGO model and Show Me poster. EMSB Pedagogical Consultant for Science & Technology at the elementary level and for robotics, chose the Mackay Centre and Principal Patrizia Ciccarelli was quick to jump on board with the project. Under the direction of Gaye McConnell, resource and computer teacher at Mackay, and teachers Jessica Palmer and Kathleen Timney, the students excelled at the activity of creating their model classrooms of the future with LEGO. In order for their models to qualify, they required one LEGO motor and one simple machine. See the press release. QUEBEC ROOTS LAUNCH: The Mackay Centre School satellite class at Westmount High School and Outreach Alternative High School participated in the recent Quebec Roots book launch. Joanne Charron, the EMSB commissioner for special needs students, was elated with what occurred at this Blue Metropolis funded event at Hotel 10 downtown. “I was expecting to enjoy myself, but I wasn't prepared for such a profound experience,” she said. “We listened to the students from all parts of Quebec recite their stories and we were brought to tears. One story in particular affected me deeply. A scene from Blue Metropolis. MacKay Phys Ed teacher Bob Simpson and student Niko Yannakis, 18. DÉFI SPORTIF: There were more than 5,000 competitors at the recent Défi sportif AlterGo in Montreal. From Para-Olympians to school children from both the elementary and secondary levels, these individuals had a variety of handicaps that they did not let stand in their way –visual and hearing impairments, Cerebral Palsy, Down Syndrome and autism among others. Students from the Mackay Centre School and Philip E. Layton brought home medals. LINKS CONCERT: The staff and students of LINKS High School presented their annual Spring Concert on May 22 at the St. Pius X Auditorium in Ahuntsic. This year’s program consisted of a variety show and vernissage. Delicious snacks and refreshments were on sale while those on hand viewed a selection of student art work and projects on display in the plaza area. LINKS, which stands for Literacy, Interdependence, Networking, Knowledge and Success, is an alternative high school providing quality educational programs to students aged 13 to 21 who have been diagnosed with learning difficulties. MENTAL HEALTH AWARENESS: The EMSB’s Mental Health Resource Centre (MHRC) spearheaded Mental Health Awareness Week May 4 to-8, using this year to highlight the importance of our connections with others as a protective factor in our children’s mental health. The theme was “It Takes a Village…” Leading the charge in their respective communities were Hampstead Elementary School, John Caboto Academy in Ahuntsic, St. Gabriel Elementary School in Pointe St Charles, Edward Murphy Elementary School in Hochelaga Maisonneuve and Michelangelo International School in Rivière des Prairies, along with John F. Kennedy High School in St. Michel, James Lyng High School in St. Henri, Lester B. Pearson High School in Montreal North, Marymount Academy International in N.D.G., Vincent Massey Collegiate in Rosemount, Rosemount High School and Vezina Alternative High School in Pointe St. Charles. Many schools began the week with an assembly uniting staff and students. A number of the activities were student led and had the goal of highlighting some key features about connecting with others, such as identifying important people in one’s life, showing gratitude and performing acts of kindness – all in an effort to build each other up and support one another. Staff at Royal West Academy prepare their presentation. As a culmination to the week, on Friday, May 8, Dr. Sydney Miller, psychologist and local talk show host, spoke on the topic of “Your Social Network” highlighting the importance of our connections with one another. Eleni Giannakis, a Grade 11 student at Laurier Macdonald High School in St. Léonard, told her story about suffering from depression and fighting off desires to commit suicide. See this very detailed press release. A John F. Kennedy student at work. WOTP PROGRAM A BIG SUCCESS: Semiskilled workers are seeing increased demand in Canada’s job market in areas such as hospitality, construction, and manufacturing, the pedagogical consultant responsible for the EMSB's Work-Oriented Training Path (WOTP) reports. Travis Hall notes that the goal of WOTP is to provide struggling students with academic support and practical work training leading to certification in a semiskilled trade to increase their chances of employment when they finish school. “The emphasis WOTP places on students gaining experience and training outside of the classroom also creates opportunities to be involved in exciting adventures and projects that enrich their education and their surrounding communities,” says Mr. Hall. Please see this detailed press release for background on what students from six schools (Mountainview,Program Mile End, LINKS, John Grant, John F. Kennedy and James Lyng) achieved. It is quite impressive. UNITED COMMITMENT: On April 27, the International Baccalaureate Secondary II students from John Paul I Junior High School, along with Secondary III students from Laurier Macdonald High School, presented a workshop on Depression and Anxiety to Cycle III students at Michelangelo International Elementary School in RDP for Mental Health Awareness Week. This united commitment to deter depression and anxiety in young students was culminated by students making a commitment to support others in times of need. 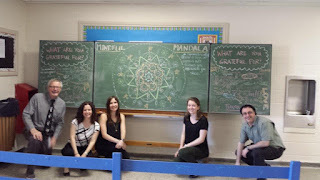 In joint collaboration, this project was spearheaded by Spiritual Animator Vince Lacroce and Guidance Counsellor Amanda Lambrinos. The workshops were also reviewed by Agent Pivot-Healthy Schools Consultant David-Roger Gagnon. EAST END EATS: Three EMSB schools (John Paul I, Laurier Macdonald, and Gerald McShane) created an intergenerational recipe book that was launched at the “East End Eats!” evening. This intergenerational project was a multimedia, cross-curricular project designed to engage students in writing, photography, and other activities as they researched the history behind their family’s photographs and artifacts. After writing about the family member of their choice, they will share a family recipe which will be placed in this book. The official launch of each book took place on May 13 at Plaza Antique. Celebrating at East End Eats. All proceeds from books sold will benefit The Alzheimer Society of Montreal (www.alzheimer.ca). 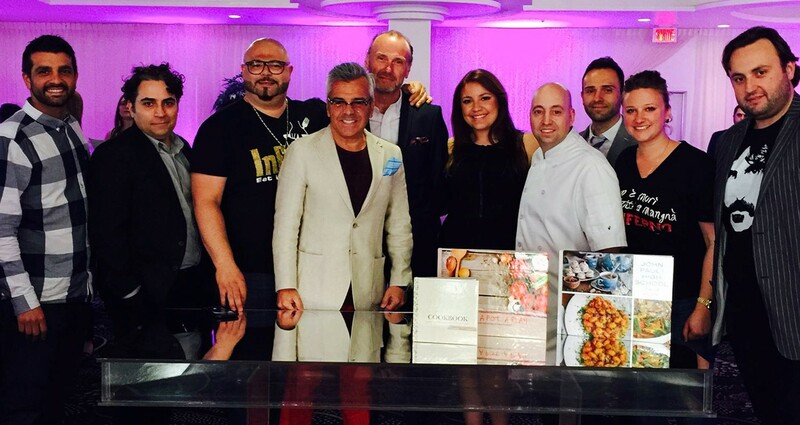 Michael Bonacini, from MasterChef Canada along with Sergio Mattoscio from Top Chef Canada, Stefano Faita from CBC's In the Kitchen and Ashley Thornton from the Radio-Canada show called Les Chefs attended and judging the food for the event. Mose Persico from CTV Montreal was also featured as the emcee. Click below for a video from the wonderful evening! STUDENT PROJECT FOR MISSING CHILDREN: Secondary V International Baccalaureate student Eryka Lafleur-Smith from Laurier Macdonald High School is focusing on the 30th anniversary of Enfant Retour Quebec’s (The Missing Children’s Network) for her end of year project. She decided to take it upon herself to create and organize an event in honour of all the missing children. Two and half years ago, she participated in an event entitled Voices for the Missing. She was one of the selected youth who took part and provided a voice for Marilyn Bergeron, creating a painting and developing a speech on her behalf. Her participation in this event served as an inspiration to take a more active role. Eryka Lafleur-Smith (third from the left, first row) and the rest of her team. CORONATION STUDENTS FOR NEPAL: In light of the shocking earthquake that struck Nepal, three natives of the country and present-day students at Coronation Elementary School in Côte-des- Neiges spoke to their classmates via the Public Address system about the devastation in their home country. Aarsi Basinet in Grade 4 and twins Arya and Ayushi Parajuli in Grade 2 approached Coronation’s principal Joanna Genovezos with a request to speak to the students and to raise money for Nepal. They proceeded to have a dress-down day at Coronation, with all proceeds going to relief funds. The students still have family residing in Nepal. Their initiative caught the attention of local media. See these links to TV reports: CTV, CBC TV. CBC Radio Homerun was also present, as was Le Journal de Montreal, which filed this story. LILY JAST SHINES: Congratulations to Lily Jast, a Grade 5 student at Royal Vale Elementary School in NDG, seen here with Vice-Principal Vince Timpano and Principal Nathalie Lacroix-Mailette. Lily won a gold medal performing a solo on her trumpet at the Fédération des harmonies et orchestres symphoniques du Québec (FHOSQ) in Victoriaville. She took home $125 for her accomplishment, all the more special given the fact she was the youngest participant. MUSIC MONDAY: We salute Gerald McShane Elementary School in Montreal North. They were the only EMSB representative to perform at the prestigious Music Monday Show at the Place des Arts. On May 4, students, together with their music teacher, Daniela Alongi and the Life Boat Project’s David Hodges performed a song that was composed by the students entitled, Dans le futur. Students were also featured on a CBC Radio interview. Music Monday is an annual initiative that brings together thousands of students, musicians, parents and community members across the country to celebrate the gift of music in our lives, on the same day at the same time. 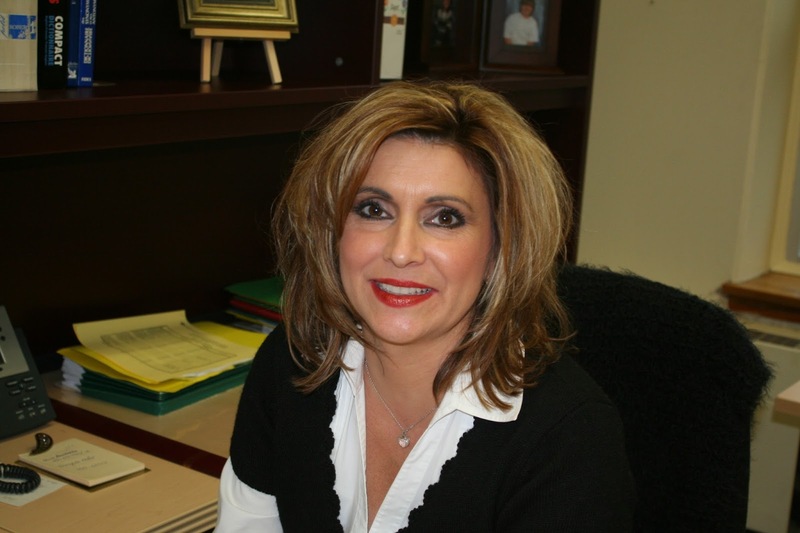 “It was a wonderful experience for the students and we congratulate them on their accomplishment,” says Ms. Alongi. The Concert Band also had a joint performance at Rosemount High School on May 1. A total of 33 students involved in the Gerald Mcshane after school band program had the wonderful privilege of playing their end of year concert in conjunction with the Rosemount High School Junior Concert Bands. This marked the second year for this unique partnership between the two schools. Students in the GMS concert band meet twice a week after school for a total of three hours where they learn brass, woodwind and percussion instruments. Under the direction/founder of the program, Ms. Alongi, with the help of Veronica Graniero (who had replaced Ms. Alongi on maternity leave until March 2015) and the support of principal Nancy Richer, students were the first group to perform that evening to an audience of 300 people. They did three pieces of different styles and difficulties. It was truly a memorable experience for the Gerald McShane Youth Wind ensemble. Students also had the opportunity to work with Rosemount High School music teachers Debbie Best and Andrew Mangal who took time out of their schedules to have a special music workshop with The GMS Students. Gerald McShane Elementary would like to thank Rosemount and their principals, Demetra Droutsas, who was very supportive and welcomed these elementary students who were so excited to be performing and using Rosemount's amazing facilities. For further information on the Gerald McShane music program contact Ms. Alongi at dalngi@emsb.qc.ca. Here is a CTV clip. STUDENT HONOURED: James Lyng High School in St. Henri wishes to congratulate Kendra Thomas on being chosen as one of the 64 bursary recipients at the second annual Fonds 1804 Gala. Kendra, who was nominated by her school guidance counsellor, Mandy Moreno, was selected due to her hard work and school perseverance, which is the cornerstone of the foundation’s work. She was invited to Montreal City Hall on May 22 to sign the golden book. HISTORY OF THE SOUTH WEST: James Lyng High School (5440 Notre Dame Street West) will hold a vernissage on Thursday, June 11 (3 p.m. to 5 p.m.) to launch an exciting cross curricular (history, ethics, English and French) project focusing on the history of the South West sector of Montreal. The latter encompasses St Henri, Little Burgundy, Point St Charles, Ville Émard. As an Urban Arts School, a focus undertaken in partnership with McGill University, the staff and students at James Lyng have put together a photobook documenting their Burgundy Jazz project in Little Burgundy. The latter is an educational app (http://music.cbc.ca/#!/Burgundy-Jazz) available on IPhones and IPads that students used to guide them through their walking tour of Little Burgundy. It focuses on the history of Jazz in Montreal and the South West borough specifically. In addition, there is a large scale wheatepaste mural on the exterior wall of the school featuring prominent figures from the South West. This includes jazz legend Oliver Jones, Montreal Canadiens General Manager Marc Bergevin actor and playwright Vittorio Rossi, and many more. The goal of the project was to bring the students into the community and the community into the school. This project-based learning experience enabled the participants to address multiple areas of curriculum requirement, as well as tap into the visual arts in partnership with the local artist duo HoarKor. The vernissage will showcase the photobook, a photo exhibit and the mural project. James Lyng history teacher, Scott McLeod, has played a key role in getting this project off the ground. 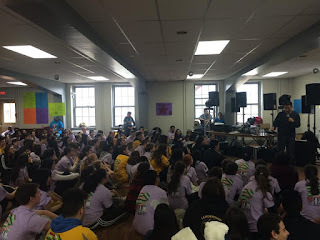 HOLOCAUST PROGRAM: A total of 25 students from James Lyng in Secondary IV and V participated in the "Ambassadors of Change" Program and then attended the National Holocaust Remembrance Day Ceremony. Students from Ontario and Québec joined together to discuss Thomas Mulcair, Justin Trudeau and Elizabeth May conveyed the responsibility of Canadian citizens to share the stories of the Holocaust so that we do not allow anti-Semitism to set root. See the CTV report. BANCROFT BIKE STORY: For the first time in the history of the Sun Youth Organization, a young man has given up the bicycle he received. Check out this inspiring story about Griffin Gibson, a Grade 4 student at Bancroft Elementary School in the Plateau. working with local artists, the students have worked towards developing a large range of artwork exploring a variety of subjects and mediums from animations to paintings. As an International Baccalaureate PYP school, Carlyle’s curriculum focuses on the total growth of the developing child, touching hearts as well as minds and encompassing social, physical, emotional and cultural needs in addition to academic development. This allows for students to explore issues raised in the IB curriculum, such as “How the world works and “How we organize ourselves.” The students approached these subjects using a creative multi-disciplinary approach based on teachings in the history of art and design. After following months of specialized instruction on the relationship of art and technology, the students have produced a variety of multi-media art projects including animations, 3D digital models, e-books, digital paintings and collages. An example of the work that will be displayed is the Grade 4 class exploration of advertising through creating their own inventions and commercials. Using a 3D modeling program, SketchUp, primarily used by architects and engineers, the students digitally constructed and animated their own inventions. DONT SQUASH THAT BUG: The Cycle One, Year One students at Carlyle International Elementary School in TMR are passionate about helping protect their creepy crawly friends! Throughout their unit of inquiry entitled, “Creepy, Crawly, Creatures, they investigated that all living things, no matter how small, can affect human beings and the balance in nature. They learned about what insects look like, why they are important, and how we can help protect them. On May 5, two Grade 1 classes visited the Insectarium, where they had the opportunity to observe a variety of bugs. This great venue allowed the students to continue to develop their knowledge about the similarities and differences between myriapods, insects and arachnids and how they impact our environment. The visit began with a great animation on the life cycles of several bugs, as well as the opportunity to participate in classification games. With great fascination, the students were even able to observe a rhinoceros beetle in its larva phase! Having discussed about camouflage in class, they were also thrilled to witness a stick insect in action. The students and staff then proceeded to take a tour of the insect exhibits. This field trip was a great complement to our IB-PYP unit of inquiry of creepy crawlers and further instilled in the students a sense of empathy towards the well-being of bugs. 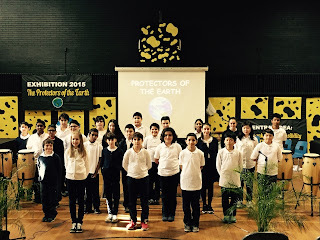 CARLYLE RADIO: The time has arrived … to listen to Carlyle's Grade 6 team on the radio and their show called The Protectors of the Earth. Over the course of the last two weeks, the students have been working tirelessly to create a radio show, with the ongoing support of Radio Centre-Ville, the Town of Mount Royal Library and most importantly Ivana Colatriano’s support of Une école montréalaise pour tous. If you want to learn more about what our responsibility is in protecting the environment, make sure to tune in on Saturday, May 30 2015 (10:30 a.m. to 12:30 p.m.) on Radio Centre-Ville 102.3 FM. Luc Harvey and principal Anna-Maria Borsellino. SENSORY ROOM: While parents and educators might very well have a sixth sense, students at Carlyle International School in T.M.R. will be working on enhancing their basic four as the school inaugurated their sensory room this month. Carlyle's sensory room is specially designed to develop children’s senses: hearing, sight, touch and smell through lighting, music and objects. The room will also become a vital therapeutic tool for children with limited communication abilities. “When using the sensory room, the students will enjoy a range of sensory experiences that can enhance their therapy, learning, and relaxation,” said Anna-Maria Borsellino, principal of Carlyle. The entire Kyres family as well as Carlyle students, their principal and special guests: Sylvia Lo Bianco, Joanne Charron, Julie Rene de Cotret, Tanya Piperni and Luc Harvey. Support for the project came from the EMSB, the Kyres Family, as well as Julian Ramsay and his team from Sherwin-Williams. This marks the second sensory room at the EMSB. Parkdale Elementary School in St. Laurent is home to the other. CTV Montreal's Paul Karwatsky was on hand as an honoured guest to help with the ribbon cutting. 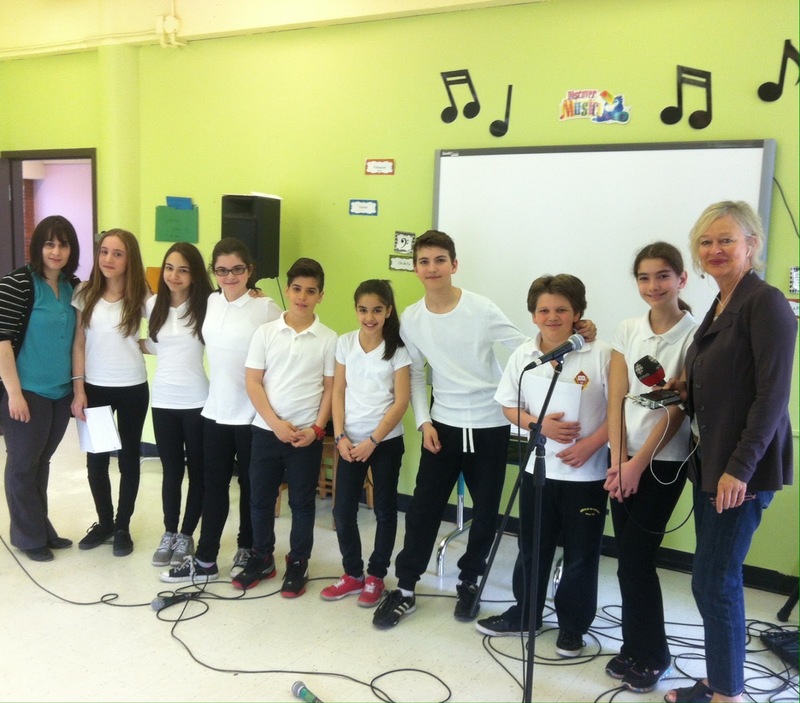 FRANCOFOLIES: Carlyle hosted its annual French play recently. This year Mme Laurence and Mme Alessandra decided to stage a puppet show. The students wrote the script based on the opera Philémon et Baucis de Haydn. The students also created all the decorations, artwork and puppets. In addition, the ceremony ended with all the classes highlighting Earth Day; each grade presented songs and poems. Carlyle wanted to emphasize both Francophonie and Earth Day. MOTHER'S DAY: Teacher Silvana Silvestrin organized a special activity at the kindergarten level at Nesbitt Elementary School in Rosemount on the eve of Mother’s Day. Delegates to the Spring Conference. SPRING CONFERENCE: The EMSB hosted the 2015 Spring Conference of the Association of Administrators of English Schools of Quebec and the Quebec English School Boards Association May 21 to 23 at the Hilton Hotel in Quebec City. Educational Leadership – A Balancing Act was the theme. Former EMSB commissioners Anne Williams and Bernie Praw and EMSB Director of Human Resources Christine Denommée were the event co-chairs. The Pedagogical Services Department of the EMSB was presented with a QESBA Award of Excellence in Education for the Early Literacy Initiative. Sylvia Lo Bianco, Angela Mancini, Adam Braz, Victoria Cioffi and Mike Tadayon. IMPACT NIGHT: For the 10th year in a row, the EMSB continued its partnership with the Montreal Impact soccer team through its “All the Way with the Impact” program. Members of the Impact have been visiting schools to remind young students of the importance of studying, persevering and building self-confidence in order to succeed. The traditional “EMSB Night” took place on May 6 when the Impact defeated Toronto FC 1-0 at Saputo Stadium. This was part of the Amway Canadian Championship, which involves the three top professional clubs in Canada, in the race to qualify for the CONCACAF Champions League. That is an international competition between professional clubs from North America, Central America and the Caribbean. More than 2,000 tickets were sold to EMSB students, their families and staff for the game. During half-time, the EMSB’s presence was recognized and two students were presented with the Tony Licursi Bursary, valued at $500 each. Mr. Licursi was the team’s statistician and a devoted member of the James Lyng High School Alumni Association. He passed away a number of years ago. The award recognizes excellence in school and sports, preferably soccer. This year’s winners were Mike Tadayon, a Grade 11 student at Marymount Academy International in N.D.G. and Victoria Cioffi, a Grade 6 student at East Hill Elementary School in Riviere des Prairies. FREE COMIC DAY: Librarians from the EMSB’s Pedagogical Services Department promoted Free Comic Book Days at LaurenHill Academy Junior Campus in St. Laurent May 7 and Gerald McShane Elementary School in Monreal North on May 15. Librarians Annette MacIntyre and Julia Wagner from Pedagogical Services, and school library personnel Beverly Graham and Charles Prefontaine presented lively talks to classes on the history and importance of comics and how to effectively read graphic texts. LaurenHill students continue to celebrate Free Comic Book Day during their lunch hour with trivia, games, and opportunities to create their own comics, and will also be encouraged to dress as their favorite comic character. Pedagogical Services recognizes the effect that comics have on children’s motivation to read. It is demonstrated that children are more likely to read when they have the choice of something that they enjoy, and are more likely to continue reading when they associate reading with pleasure. For a struggling reader, images can hold a child's attention longer than text, can help with understanding difficult concepts or challenging stories, as well as cultural and social issues. As literary texts, comics help to expand a child's vocabulary and introduce new narrative structures. The EMSB would like to express its appreciation to Cosmix (931 Boul. Décarie, Saint-Laurent) and Komico (5311 Queen Mary) for supporting these school events with the donations of comics and posters. For more information, check out www.freecomicbookday.com. OVERDRIVE: The EMSB Pedagogical Services Department has launched a new service called OverDrive, offering free eBooks to all students and staff at high schools. This digital collection is available 24/7 and all one needs to get started is an internet connection and an EMSB email address. A wide variety of popular fiction and non-fiction materials for high school students is available, as well as content in French, Chinese and Spanish. Digital books are compatible with computers, smart phones, tablets and eReaders. Titles can be read right in the internet browser or downloaded using the free OverDrive app. At the end of the lending period, titles automatically expire so there are never any late fees. Questions can be directed to school librarians or to Annette MacIntyre, Pedagogical Services, amacintyre@emsb.qc.ca, ext. 7651. For more information, log on to: http://emsb.lib.overdrive.com, or http://www.emsb.qc.ca/virtuallibrary. DIVERSE SCHOOLS PRESENTATION: Nick Warren, documentation technician for the Alternative Outreach School and Julia Stark, the recently appointed head librarian at the Montreal West Children's Library (and former documentation technician at St. Gabriel), delivered an excellent joint presentation at the 83th Annual ABQLA Conference entitled, "Diverse Schools, Adaptive Services: An Alternative ‘Learning Commons’ Approach." Their unique approach, humour and commitment to their schools was clearly evident to a very receptive audience of professionals from academic, public and school libraries across Quebec. They really made EMSB libraries look relevant to the communities they serve. ENTREPRENEURSHIP AWARDS: Students from Perspectives I Alternative High School in St. Michel and from LINKS High School in Ahuntsic were both winners in the Quebec Entrepreneurship Contest. They received their awards at a ceremony on April 30 at LaSalle College. Both projects have advanced to the Provincial competition in Quebec City on June 18. Students from the Mackay Centre and Dalkeith Elementary School in Anjou were also nominated for awards and took home the “Coup de Coeur” award in their respective categories. In total, 830 EMSB students were involved in the creation of 78 projects for consideration. From those, 50 were chosen to receive EMSB Entrepreneurship grants and a final 34 were entered in the Quebec Entrepreneurship Contest. Secondary III students from Perspectives I are enrolled in a special “Projet Particulier 15+” program and registered in an entrepreneurship class. Angela Mancini showcases the Perspectives I t-shirt. Following some brainstorming, the students agreed to make their own t-shirts to sell within the community and spread the message that solidarity makes learning and working together more fluid. They have also decided that a portion of the proceeds will go to the Guzzo Foundation, which now supports children’s mental health. For The Terrerrium, students from LINKS High School learned how to build “urban gardens” with recycled plastic bottles. Students transformed the bottles into pots, which was followed by the transplantation of the flowers and plants to the bottles. And recently, Dalkeith Elementary purchased new chairs for events in their gymnasium. The students thought it would be very wasteful to throw out the old chairs and as such, they decided that the old metallic chairs could be renewed and sold to local community. The students began repairing and sanding the chairs. Afterwards, they were painted, decorated, and a cushion was added. Finally, they made them available for sale to their community. Finally, The Leaders on Wheels are a group of wheelchair bound students at the Mackay Centre School who raise funds through the selling of their famous Cajun Spice Rub and Triple Chocolate Brownie. Sold at various times and places throughout the year to raise money, students donate their proceeds to the Montreal Children's Hospital. See the full press release. Cutting the cake at Michelangelo. ANNIVERSARY CELEBRATION: Michelangelo International Elementary School held its 25th anniversary celebration on Sunday, May 24 followed by a community fair with games, music, and food trucks.Michelangelo is a certified IB World school, authorized to teach the IB-Primary Years Programme. IB World Schools share a common philosophy; a commitment to high quality, challenging, international education that Michelangelo School believes is important for its students. The school endeavours to successfully integrate students into present and future day life by providing the tools required to play a constructive role in society while developing positive values. Having fun at the party. The focus is not simply on the acquisition of knowledge, but on fostering in young people the desire to create a better and more peaceful world through respect and understanding of the many cultures of this world. The school provides students with the essentials of lifelong learning by creating environments that arouse intellectual curiosity. “When students leave Michelangelo, we expect them to have become inquirers, principled, balanced, caring, communicators, open-minded, risk-takers and reflective,” said Principal Anna Della Rocca. To listen to the Michelangelo 25th anniversary song and much more, log on to www.emsb.qc.ca/michelangelo. See this comprehensive press release. THINK TANK CHALLENGE: Caron Ann Yee, a parent at Michelangelo and an engineer at Pratt and Whitney, volunteered her time with a group of young students at Michelangelo. She took them to the Jr. FLL Think Tank challenge this year. They all had a great time. Ms. Yee was also successful in getting grants for the school from Pratt and Whitney and its affiliated companies totaling $5,000. This money will be reinvested into the robotics program at Michelangelo. Showcasing their artwork and socks. SOCKS AND UNDIES: Students at Michelangelo's B.A.S.E. Daycare collected hundreds of socks and undies which were picked up during the school assembly. Invited guests were Kathryn Stephens, Marissa Mckenzie and Anthony Bakerdjian from The Welcome Hall Mission. Children were eager to ask questions about the homeless and services available to help them. “Caring,” one of the core values at Michelangelo, took center stage as children demonstrated an outpouring of generosity to those that are less fortunate. Students from the B.A.S.E. 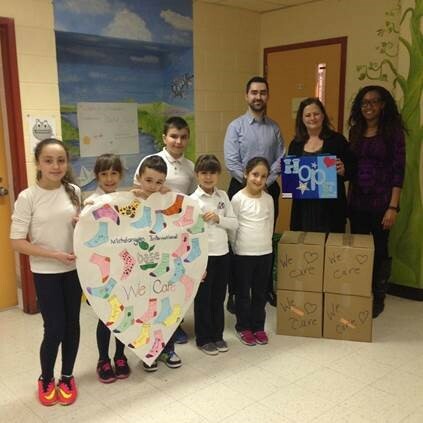 Daycare also presented a heart poster along with “HOPE” painted canvas giving hope to Montreal's homeless. Meanwhile,Grade 6 students had their IB PYP Exhibition. Since the month of October, the students have been researching different topics to investigate by reading books, articles, magazines, newspapers and online web sites. Finally, the students began to wonder what are the ways in which scientific and technological advances impact society and its environment? The Grade 6 students decided to explore the following topics: Diseases, Evolution, Space Technology, Medical Technology and Natural Disaster. This year, the school’s behaviour technician and teachers acted as mentors and were involved in guiding the students throughout this journey. OPERETTA AND THE EMSB: There is a definite EMSB flavor in the Montreal West End Operatic Society’s second bilingual presentation of Johann Strauss’s ‘La Chauve-Souris’ (Die Fledermaus) May 30 and 31 at Victoria Hall (4626 Sherbrooke Street West) in Westmount. La Chauve-Souris is arguably the most popular operetta in the world. Strauss’s immortal classic features a madcap plot and some of the most famous waltzes in the composer’s glittering repertoire. The production will be accompanied by a musical ensemble, led by music director Chad Heltzel, with surtitles for the greater enjoyment of the audience. On the stage, will be an experienced cast showcasing talented emerging artists and passionate operetta enthusiasts. One of the stars of the show is Gary Iannacone, who plays the lead role of Gaillardin. Gary teaches at the EMSB’s Options II Alternative Outreach High School. Another longtime member of MWOS is Shelagh Glover-McKeown, who taught for 35 years and latterly at Roslyn Elementary School in Westmount before retiring. Christine Dandurand, a MWOS member, taught computer graphics at one time at Rosemount Technology Centre. Show times are 7:30 p.m. on May 30 and 2 p.m. on May 31. Tickets are $25 (general), $20 (seniors), $15 (students) and $10 (children aged 12 and under). Family and group rates are available. For more information, call 514-990-8813 ext. 2, email tickets@mwos.org or purchase online via PayPal at www.mwos.org. There is a video at http://mwoschauvesouris.causevox.com.. Here is a video link. CTV REPORT ON TALKING TO KIDS ABOUT DRUGS: CTV Montreal ran a report recently on talking to your kids about drugs, with substance abuse expert Gerry Tullio being interviewed. He works with students at Laurier Macdonald and John F. Kennedy High Schools. CTV had a camera in one of Tullio’s talk. See the TV report here. Aren`t these sculptures prepared by B.A.S.E. Daycare students outstanding? 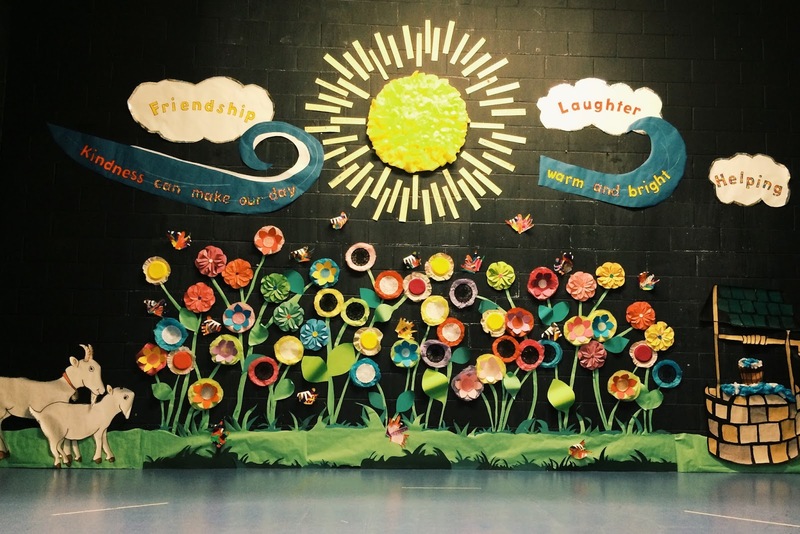 DAYCARE WEEK: The EMSB Before and After School Enriched (B.A.S.E) Daycare Program celebrated Daycare Week from May 11 to May 15, with its seventh annual creative arts festival. The theme for this year was Always Shining Brightly! Put on in collaboration with the Association des services de garde en milieu scolaire du Quebec (ASGEMSQ), this creative arts festival showcased the six educational cores (Homework & Snack, Physical Activity, Environmental Consciousness, Media Awareness, Creative Arts, and Specialty Programs) of the B.A.S.E Daycare Program through various performances and exhibits taking place at the school board and various daycares. B.A.S.E students from Pre-Kindergarten to Grade 6 have worked diligently since October 2014 to show off their new learned skills and live performances at this festival. The students executed all projects from conception to finished products. A total of 15 daycares taking took part in this year’s Daycare Week festivities. See the full press release for all the activities. There are 29 daycares in the EMSB. More than 3,000 students participate in the B.A.S.E Daycare Program, which is facilitated by 29 B.A.S.E technicians, 200 B.A.S.E educators, several B.A.S.E advisors and approximately 25 B.A.S.E tutors from Concordia and McGill University. At East Hill Elementary School in RDP, in order to commemorate this event the daycare students decided that they would Shine Bright by giving back to their school. Grade 5 and 6 students painted all the classroom radiators. Grade 3 and 4 made book dividers for the library books. On May 14 all levels cleaned their work space (all lockers, bins, and desks belonging to them). They drew pictures depicting what they like in daycare and their classmates voted along with the educators as to which drawing would be chosen to represent their grade level. The student whose drawing was chosen, was then asked to reproduce his/her picture on the MAC computer. Once completed they printed the image on a transfer photo paper and ironed it on a t-shirt. Daycare students were permitted to wear the t-shirts all day on May 15. The students proudly paraded them all day. 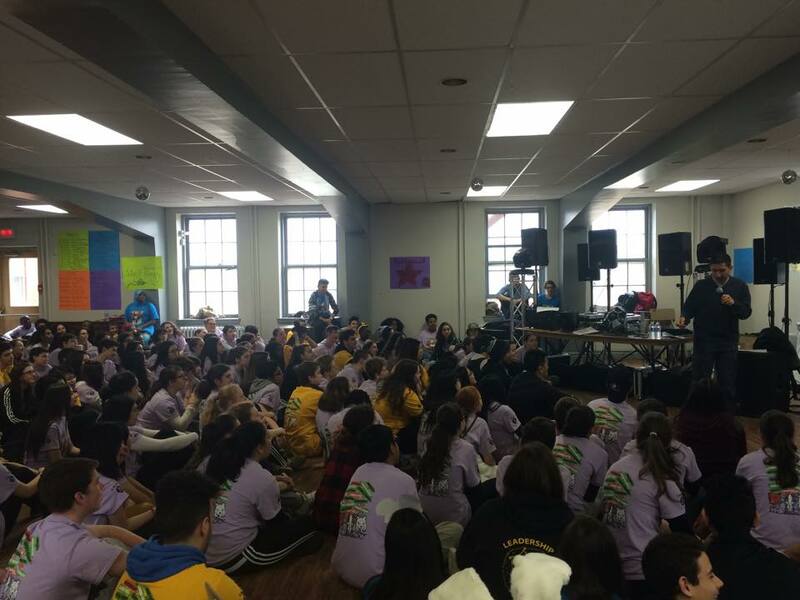 STUDENT LEADERSHIP CAMP: Leadership was on the minds of 250 enthusiastic students from across the EMSB at the 17th annual Student Leadership Camp April 22 to 24 in Val-Estrie in Waterville, QC. Representatives from James Lyng High School, John F. Kennedy High School, John Paul I High School, Laurenhill Academy, Laurier Macdonald High School, Lester B. Pearson High School, Marymount Academy International, Rosemount High School, Royal Vale High School, Royal West Academy, Vincent Massey Collegiate and Westmount High School took part in this event as well as American students from Take the Lead Vermont. The camp was organized and run by 34 students from across our network of high schools, this year’s theme of the camp was Fairy Tales. The keynote address by Sunjay Nath voiced to students that life is made up of the choices that they make. Sunjay gave everyone goose bumps, he was engaging, entertaining, assessable and had an impact on every student in the room. Every year, Camp-Val challenges students to test their comfort zones and grow as leaders in an intensive three-day program. Students are separated into groups with students from different schools and their comfort zones are further tested by challenging strangers to work together to solve problems together. The students are vital stakeholders in creating safe and healthy school environments, camp strives to seek out prospective leaders and encourage them to create positive change in their own schools. Student Organizers develop their experiences creating and implementing a thoroughly planned camp dealing with conflict resolution, dealing with suppliers, planning leadership activities and the logistics of running a three-day camp with hundreds of campers. Animators learn how to facilitate leadership activities and foster and nurture a sense of belonging and community within the camp. Delegates learn from leadership experientials, bond with students from across our network of schools. By the end, this camp changed the lives of the majority if not all of the 250 attendees, everyone was arm in arm crying, inspired and united as one big family, which is what they inevitably referred to it as. EMSAC MEETING: The EMSB Student Advisory Committee held its last meeting of the year at Rosemount High School. The EMSAC was established to further enhance the leadership skills of the participating students to provide our students with a voice to address their concerns, to be consulted on when necessary and in general to try to improve the environment for our students across our network of high schools. It was a meeting to complete one year of work as well as lead into next school year by introducing next year’s members and opening discussion. This year, they hosted guest speakers, discussed important issues across the board and developed as leaders through reflection and discussion. The EMSAC members produced short promotion videos for each of our schools which you can watch here. CHESS: To celebrate a fruitful year of the game of chess at Lester B. Pearson High School, the LBPHS Chess Club hosted the first EMSB chess meet on May 5 at their campus library. The Royal West Academy Chess Club moderators and student members rose to the challenge and competed against each other and their LBPHS peers. Collaboration between Lester B. Pearson High School and Royal West Academy administration and staff made this event possible. ROBOCUP JUNIOR: After participating in the Regional Science Fair and the chess tournament last month, General Vanier Elementary School in St. Léonard sent five teams to the Robocup 2015 Tournament at John Rennie High School in Pointe Claire. There were two teams in the soccer category, two in search and rescue and for the first time, one for the Beatles Challenge. After months of weekly preparation, the club participants worked diligently on site to improve their robots, programs and overcome the challenges! They grew a lot over the two days and learned from their peers, enjoyed seeing the other robots and learned from the fantastic ideas the other teams applied. The Search & Rescue teams brought back gold and silver. And that’s not all because besides GV’s little scientists, engineers and math geniuses, all our students are “artists” too and they proved it during the “GV 15th Back to the Future” concert at LMAC auditorium. They were all dancing and singing while managing props. They enjoyed playing band instruments, recorders or keyboards and worked hard to make this show a success and a success it was. With the help of the sixth graders who acted as emcees with humour and talent, the kind participation of former students who joined the choir to sing “We are the World” and celebrated the beginning of the 15th GV anniversary celebration, the show was a great success!! THE EMSB’S FRINGE FESTIVAL STAR: Combining sketch comedy and storytelling, The Shiner is a one-woman show that is sure to bring attention to the important role played by spiritual community animators in schools across Québec. Since 2008, Katie Leggitt has had two careers: Spiritual Community Animation at the EMSB, and Sketch Comedy, primarily featured at Le Nouveau International’s Théâtre Ste-Catherine. Gracing the stage, armed with a variety of wigs and The Shiner. From habanero pepper-eating students to schemers and sweethearts, The Shiner’s hilarious characters offer the inside scoop on what the often-misinterpreted title of spiritual community animator is really all about. Seamlessly blending the real Katie Leggitt with the fictional Rebecca Reubens, this one-woman show will share sidesplitting truths about classroom life, touching stories of loss and the magic of imagination. Pack yourself a tissue box and get primed for circle time with Miss Katie. You can go see the show June 12, 13, 17, 18, 20 and 21 at Venue 7 – Montreal Improv Theatre (3697 Boulevard St. Laurent). Log on to www.theshiner2015wordpress.com and see this flyer. Facial expressions by night, and inspiring youth in the classroom by day, Leggitt has always used comedy as a communicative tool. EMSB TEACHER ON STAGE: Caroline Cameron, a music teacher at the EMSB’s Pierre Elliott Trudeau Elementary School in Rosemount, is also a professional musician. On May 30 she, will be part of a Michael Jackson tribute played with a symphony orchestra and a choir. The show will be outdoors in a classical music festival in St-Lambert called Festival Classica. 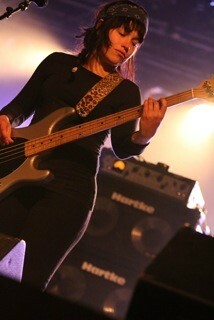 She will be playing electric bass in the house band. Caroline has been a professional bass player and vocalist for about 12 years and has worked in studio or on tour for artists such as Michel Pagliaro, Louise Forestier, Pascal Dufour, Eli et Papillon and more. She has a Bachelors in Musical Performance and just completed her Masters Degree in Music Education (both at UQAM). It has been three years since she teaching music in the EMSB. Previously she did so part-time at Nesbitt and Gardenview. Here is a link to the concert. MERTON GARDEN: Merton Elementary School in Côte Saint-Luc was part of the fourth annual Food Revolution Day on May 15 with the construction and planting of a school garden. 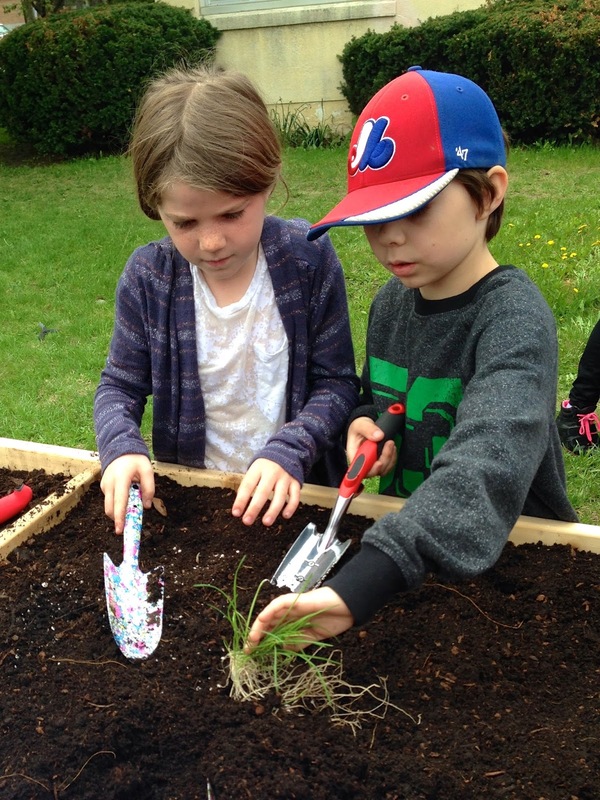 During a professional day, the school hosted a party to kick off the garden season for students, parents, staff and neighbours within the community. Lufa Farms was present at the event to show the students samples of fruits and vegetables grown in its greenhouses. GOLF TOURNAMENT: ACRA, an association of retired school administrators, has announced that its annual Golf Tournament will take place on Thursday, July 2 at Club de Golf Belle Vue (www.golfbellevue.com) in Chateauguay. All proceeds will go towards the St. Gabriel’s Food Bank in Pointe St. Charles. Co-Chairs Peter Yaworski and Kevin Marciniak note that registration will be capped at 144 golfers and forms are being accepted now. Golfers should arrive by 11:30 a.m. for a shotgun start at 12:30 p.m.
Organizers are seeking companies and individuals to step forward and sponsor holes for $125 each in order to raise the necessary funds for the Food Bank. Prizes for the raffle are also being solicited. ACRA was established in 1998. Its objectives are to provide social/group activities, to promote member welfare and to support philanthropic and charitable endeavors. The members are former administrators from the EMSB and its predecessor boards. Mr. Yaworski worked mostly at Good Shepherd School in Brossard under the Commission scolaire de Brossard, now the Riverside School Board. Mr. Marciniak was with the former Montreal Catholic School Commission, including 20 of those years at St. Pius X Comprehensive High School. For more details, go to www.acracan.org to obtain the registration and table reservation forms. In the event of inclement weather, golfers will be issued a rain-cheque and the dinner portion will proceed as scheduled that evening. LAURENHILL VERNISSAGE: The annual vernissage sponsored by the Montreal Teachers Association and the LaurenHill Academy Junior Campus English Language Arts (ELA) and Fine Arts departments will take place on Thursday, May 28 (7 p.m.) at 2355 Decelles in St. Laurent. You will have the opportunity to see the work of cross-curricular student productions, such as writing pieces, photography, mapping and artwork. With the help of inter-regional professional learning communities, teachers and students at Gardenview Elementary School, Westmount Park Elementary School, LINKS and Lester B. Pearson High School worked with LaurenHill Academy Junior ELA students and teacher /ELA Junior Department Coordinator Andrew Adams in order to showcase their many talents . ALL-DAY CAMP: The Learning Associates of Montreal's Summer Reading Program is an all-day camp for elementary-aged students who struggle with reading. Mornings are devoted to intensive reading instruction with specialized educators, while afternoons are spent on games and activities designed to reinforce target concepts. The camp runs in French from July 6 to 24 and in English from August 3 to 21. Low student-teacher ratios mean that space is limited. For more information or to register, call 514-989-9360 or visit www.learnmtl.org. ALTERNATIVE UNITED: As part of their month long charity campaign to raise money for a home court and an after-school headquarters, the Alternative United Pit Bulls squared off against Greaves Adventist Academy at McGill University on May 11 in the Currie Gymnasium. Admission was by donation and all proceeds went to the Alternative United Fundraising Campaign. Alternative United is a high school basketball team that draws players from the EMSB's Alternative Outreach system to compete in the Greater Montreal Athletic Association’s (GMAA) Juvenile Division 1. Gatorade spotted an article about the team in The Montreal Gazette last year and contacted the coaches about making a promotional video as part of the Win From Within online series. The video was released in January and quickly went viral, getting more than a million views in the first few weeks. The team and its coaches are trying to keep the ball rolling, both with the charity game and a month-long crowdfunding campaign through Indiegogo. They’re looking to raise money for a home court and a team headquarters downtown, where they’ll be able to run full practices, host home games and get tutoring and healthy snacks after school next year. Learn more about Alternative United, their crowdfunding campaign and the video that Gatorade made about them this year by clicking on the following links: Alternative United; Indiegogo; and Win from Within. FRENCH FOR THE FUTURE: The Cineplex Theatre at the Montreal Forum Entertainment Complex was the site for the 2015 French for the Future Montreal Local Conference on April 23. Aimed at promoting bilingualism amongst Canadian youth, the theme was Respect, Culture and Integration into Québécois Society. Some 500 students from 14 Montreal high schools and four school boards were present. Participating EMSB schools were: Westmount High School, John F. Kennedy High School in St. Michel, Royal West Academy in Montreal West, Lester B. Pearson High School in Montreal North, Laurier Macdonald High School in St. Léonard and Marymount Academy International in NDG. Québécois rapper and street artist, MONK. E inspired the youth with his story and powerful trilingual lyrics. This was followed by some open microphone time for the participating students to rap in French! Students then learned about the incredible hockey history associated with the Forum, which served as the home of the Montreal Canadiens from 1926 to 1996. Mike Piperni, a graduate of the EMSB’s James Lyng High School and the executive producer for RDS (Réseau des Sports), lead a discussion with Canadiens’ charismatic public address announcer Michel Lacroix. RDS has prepared a short video about the Forum. Lacroix gave students a chance to try their hand at announcing some Canadiens goals and penalties. Mike Piperni, Michel Lacroix and some Westmount High students at the Forum. Other activities included an interactive quiz on Canadian and Quebec culture, performances from the winners of the Lester B. Pearson School Board SLAM contest, a francophone youth hip hop dance group, the presentation of web series produced by Marymount Academy International and a fantastic interactive finale starring the always entertaining Ligue D’improvisation Montréalaise. Laurier Macdonald singing sensation Angelike Falbo, who finished among the final four in TVA`s La Voix, performed in French. WORLD PREMATURITY DAY: The Jewish General Hospital is one of the largest birthing centers in the province of Quebec with approximately 4500 deliveries each year. Its world-class Neonatal Intensive Care Unit (NICU) cares for about 700 premature babies and ill newborns. The JGH Auxiliary's Tiny Miracle Fund is committed to purchasing vital, life-saving equipment for the NICU. Thanks to many committed supporters, organizers raised awareness as well as over $300 K with a goal of $500 K. The Tiny Miracle Fund provides a wonderful teaching opportunity for students. It demonstrates the importance of charity, and allows the students to be part of an important global event. Participating schools will be eligible for a NICU nurse visit during the year, where a short presentation and video will be shown. This past year, eight schools participated and organizers look forward to increased involvement. Please consider the Tiny Miracle Fund for your special class or school wide projects for the 2015-2016 academic year. November 17 marks World Prematurity Day all over the world. This special day can be celebrated in your school, by asking your students to wear purple clothing or a purple accessory and make a $2 donation. For further information, please call the JGH Auxiliary at 514.340.8216 or email us at thetinymiraclefund@gmail.com. CENTAUR THEATRE OF TOMORROW PROGRAM: Centaur Theatre Company has announced its Luminous Theatre of Tomorrow (TOT) Program for the 2015-2016 Season. The TOT program makes live English theatre accessible to high school students at a discounted price. Tickets remain at $16 for another year thanks to our sponsors. Program benefits include a teacher’s guide providing background information, discussion topics and improvisation activities; and talkback sessions following the performances where students meet the cast, voice their comments and ask questions. SEGAL CENTRE OFFERS: The Segal Centre for Performing Arts in Snowdon is committed to giving its audience the most engaging theatre experience possible. For families and students of all ages, they offer a number of public programs for each season free of charge, including their Sunday @ the Segal series, Monday night talkbacks, Study Guides, and behind-the scenes videos and insights on their blog. Students can attend for up to 50 percent off the price of an adult ticket. Call 514-739-7944 for more information or to reserve, or buy your tickets online at segalcentre.org. In addition, school groups are welcomed for weekday afternoon performances, including reduced ticket prices, private tours, and talkbacks. Log on here or contact Lucie Lederhendler(llederhendler@segalcentre.org) at 514-739-2301 ext. 8360 for more information. ADMINISTRATOR PHOTOS: There is a section on EDocs (the EMSB internal online document sharing program) with administrator photos. Those with access can go to this link and use their user name and password. Students with the cast of Triplex Nervosa. 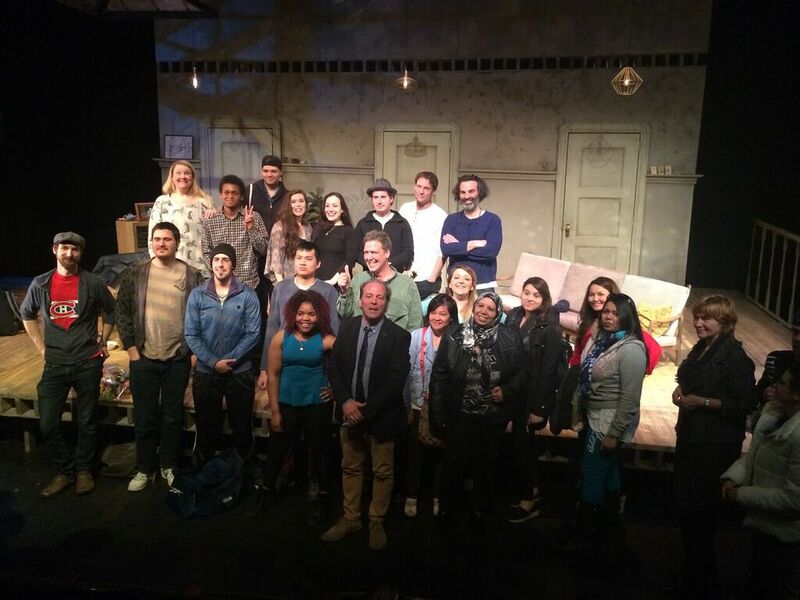 TRIPLEX NERVOSA: Students from Lisa Trotto and Donovan King’s English classes at Galileo Adult Education Centre in Montreal North recently attended the opening matinee performance of Marianne Ackerman’s Triplex Nervosa at the Centaur Theatre. The clever and comical play tells the story of a young, ambitious woman who has used up every last penny of her life savings and put her music career on hold to buy a triplex in Montreal’s trendy Mile End area. The day spent at the theatre was an especially significant event for several of our special needs students because this was the first time they ever experienced watching a live performance, engaging with actors and for some, taking the metro and exploring a new area of Montreal. After the show, the actors along with the playwright and director, engaged in a talkback with the students. To the playwright’s pleasant surprise, Galileo students greeted her onstage with a bouquet of flowers to congratulate her fine work. For Galileo teachers, it is an absolute pleasure to find ways to empower our students while supporting the arts. Theatre is very beneficial for our students and the English department has spent a great deal of time explaining how theatre really is the pinnacle of language use. It can inspire them in so many ways. Not only is theatre entertaining and therapeutic, but it can also trigger amazing insights and transformations. Throughout the course of the play and amongst the constant laughter and emotion from the crowd, this became evident. Emmanuel Dubourg meets with students. TRIP TO OTTAWA: A total of 330 students and staff members from Galileo Adult Education Centre recently attended a day long field trip to Ottawa. Students were engaged in a diverse range of activities, such as guided tours of both the Parliament Building, as well as the Museum of Civilization. These informative visits were followed by a relaxing stroll in the beautiful Commissioner’s Park, which erupted with striking colors due to the annual Tulip Festival and dazzling display of flowers. The school outing allowed students the opportunity to explore the capital of Canada, visit important national symbols, observe architectural masterpieces and ultimately, immerse themselves in the rich culture of the city. Students and teachers had the opportunity to also meet and speak to Emmanuel Dubourg, Liberal Member of Parliament for Bourassa. Learning about Canada’s capital and exploring the sights and sounds of this vibrant city left students longing to explore more about its fascinating history. CONCOURS D’AFFICHES: Six écoles primaires ont participé à un concours commandité par la CSEM et la compagnie Énergère qui propose des solutions d’améliorations de la gestion énergétique des bâtiments pour aider à promouvoir et à stimuler la sensibilité à l’efficacité énergétique et à protéger la planète. Ce concours coïncide avec l’annonce récente d’un ambitieux projet de 24,6 millions $ par lequel 17 écoles et centres de la CSEM ont été choisis pour aider à renforcer l’efficacité énergétique en modernisant et en renouvelant leur équipement afin qu’ils puissent réduire, de façon significative, la consommation d’énergie et l’émission de gaz à effet de serre. Chaque école participante a reçu un dessin d’arbre sur une affiche en coroplaste de huit pieds par huit pieds. Chaque élève devait découper une feuille ou une pétale d’une feuille de papier et écrire son idée sur la façon de sauver la planète et, ensuite, coller la feuille ou la pétale sur l’image de l’arbre. Les prix seront décernés aux trois meilleures idées de chaque école et le tableau gagnant sera exposé au centre administratif de la CSEM. Les six écoles primaires qui ont participé au concours et qui font aussi partie du projet d’efficacité énergétique sont : Pierre Elliott Trudeau de Rosemont, St. Gabriel de Pointe-St-Charles, Gerald McShane de Montréal-Nord, Dante, de Saint-Léonard, East Hill et Michelangelo internationale de Rivière-des-Prairies. 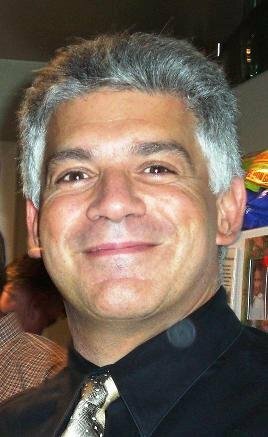 NICK KATALIFOS EST UN HÉROS DE CJAD : Félicitations à Nicholas « Nick » Katalifos qui a été nommé par le journal Inspirations, héro du mois CJAD. Nick a reçu officiellement cet honneur le 13 mai, distinction qu’il a bien mérité. Directeur de l’école primaire Roslyn de jour, il s’occupe d’une grande variété d’engagements, notamment avec la communauté grecque, en sus de se consacrer à sa femme Mary, sa fille Anna âgée de 17 ans et son fils Manoli âgé de 13 ans. Nick est président de l’école et du Centre de ressources À pas de Géant (www.giantstepmontreal.com), la seule institution scolaire et thérapeutique du Québec qui s’occupe exclusivement de l’enseignement d’enfants autistes. L’école donne accès aux enfants et aux familles affectés par l’autisme et à une équipe de professionnels spécialisés. Parmi les services offerts, l’on retrouve l’orthophonie, l’ergothérapie et les aptitudes sociales, ainsi que les habiletés essentielles de la vie journalière et de la gestion du comportement. Manoli a été diagnostiqué d’autisme à l’âge de trois ans. Un an plus tard, il a été inscrit à l’école À Pas de Géant qui accueille des élèves âgés de 4 à 21 ans. « Ma femme et moi avons constaté un très grand progrès depuis qu’il fréquente cette école et nous en sommes très reconnaissants » déclare Nick qui a été candidat au conseil municipal de Laval aux dernières élections. Pour visionner la vidéo de Nick, allez à www.cjad.com/heroes. VIDÉO DE ST. DOROTHY: Le personnel de l’école primaire St. Dorothy, y compris l’animatrice Sherron Anglin, intègre sagement les technologies de l’information et de la communication (TIC) au programme d’études afin d’appuyer, de soutenir et d’améliorer l’apprentissage. Les classes inclusives intégrées TIC offriront une grande variété d’expériences d’apprentissage et assureront que tous les élèves développent les habiletés nécessaires pour valider (ex : choisir, comparer, analyser, discriminer et synthétiser) l’information électronique. Visionnez cette agréable vidéo qu’ils ont produit et constatez l’impeccable bilinguisme : https://vimor.com/128278198. SENSIBILISATION AUX ALLERGIES: Kyle Dine, un éducateur et musicien, qui se produit dans des écoles à travers l’Amérique du Nord pour susciter la sensibilisation aux allergies alimentaires, fera sa première visite au Québec, le lundi 15 juin. Il sera présent à trois assemblées (9 h 20 XXXX) à l’école primaire Gardenview (700 rue Brunet). Au cours des six dernières années, Dine s’est produit dans plus de 300 écoles pour plus de 125 000 élèves. Il a grandi en gérant ses propres allergies aux arachides, aux noix, aux œufs, aux fruits de mer et à la moutarde. Avec une guitare à l’épaule, une EpiPen® à la ceinture et une troupe de pantins loufoques, il conseille aux élèves quoi faire pour aider les autres à éviter les allergies. Après avoir grandi avec de multiples allergies alimentaires, il a des histoires et des expériences de toute une vie qu’il partage avec les élèves tout en répondant aux questions. SENSIBLISATION À LA SANTÉ MENTALE : Le Centre de ressources de Santé mentale de la CSEM (CRSM) a lancé la semaine de sensibilisation à la santé mentale du 4 au 8 mai, en utilisant cette année pour souligner l’importance de nos liens avec les autres, en tant que facteur de protection de la santé mentale de nos enfants. Le thème a été « Il faut un Village »… » Les écoles suivantes ont donné l’exemple dans leurs communautés respectives : école primaire Hampstead, l’Académie John Caboto d’Ahuntsic, école internationale Michelangelo de Rivière-des-Prairies, école secondaire John F. Kennedy de Saint-Michel, école secondaire Lester B. Pearson de Montréal-Nord et l’Académie Marymount de NDG. Plusieurs écoles ont commencé la semaine avec une assemblée réunissant le personnel et les élèves. Plusieurs activités ont été menées par les élèves et avaient pour objectif de mettre en vedette quelques caractéristiques de création de liens avec d’autres personnes, telles qu’identifier les personnes importantes dans nos vies, faire preuve de gratitude et faire des actes de gentillesse – le tout dans un effort de soutien mutuel. Le point saillant de la semaine a eu lieu le 8 mai avec le Dr Sydney Miller, psychologue et animateur de débat télévisé, qui a présenté le sujet « Votre réseau social » mettant en vedette l’importance de nos liens mutuels. Eleni Giannakis, élève de 11e année de l’école secondaire Laurier Macdonald, a parlé de la souffrance qu’elle a éprouvé à cause de la dépression et de sa lutte contre le désir de se suicider. NÉPAL: Suite au tremblement de terre dévastateur qui a ébranlé le Népal, trois originaires de ce pays et élèves de l’école primaire Coronation de Côte-des-Neiges, se sont adressés à leurs camarades par le biais du système de haut-parleur et ont parlé aux élèves du malheur qui avait touché leur pays natal. Aarsi Basinet, élève de 4e année et les jumeaux Arya et Ayushi Parajuli, élèves de 2e année, ont demandé à la directrice, Joanna Genovezos, la permission de parler aux élèves et de lever des fonds pour le Népal. Ils ont organisé une journée de tenue décontractée dont tout le produit a été versé au fonds de secours. Les élèves ont encore de la famille qui vit au Népal. Leur initiative a attiré l’attention des médias locaux. Voir les rapports CTV, CBC et CBC Radio. HISTOIRE DU SUD-OUEST: L’école secondaire James Lyng de Saint-Henri (5440 Notre Dame ouest) tiendra un vernissage le jeudi 11 juin (15 h à 17 h) pour lancer un projet transdisciplinaire (histoire, éthique, anglais et français) axé sur l’histoire du secteur sud-ouest de Montréal, qui regroupe Saint-Henri, la Petite Bourgogne, Pointe Saint-Charles et Ville Émard. En tant qu’école d’arts urbains, une orientation prise en partenariat avec l’Université McGill, le personnel et les élèves de James Lyng ont créé un livre-photos qui documente leur projet de Jazz Burgundy dans la Petite Bourgogne. C’est une application éducative (http://music.cbc.ca/#!Burgundy-Jazz) disponible sur IPhones et IPads que les élèves ont utilisé pour les guider à travers leur tournée à pied de la Petite Bourgogne. L’application est axée sur l’histoire du jazz à Montréal et, spécifiquement, dans l’arrondissement du sud-ouest. En outre, il y a une grande murale sur le mur extérieur de l’école mettant en vedette des personnages éminents du sud-ouest, dont la légende de jazz Oliver Jones, le gérant général des Canadiens de Montréal Marc Bergevin, le dramaturge Vittorio Rossi et plusieurs autres. Le but du projet est d’inclure les élèves dans la communauté et cette dernière à l’école. Cette expérience d’apprentissage a permis aux participants d’aborder plusieurs domaines du programme d’études ainsi que de puiser dans les arts visuels, en partenariat avec le duo local HoarKor. Le vernissage mettra en vedette le livre-photos, une exposition de photos et le projet de la murale. L’enseignant d’histoire Scott McLeod a été l’un des principaux promoteurs du lancement de ce projet. PRIX D’ENTREPRENEURIAT: Des élèves de l’école secondaire Perspectives I et de l’école secondaire LINKS ont été les lauréats du concours d’entrepreneuriat du Québec. Ils ont reçu leurs prix lors d’une cérémonie qui s’est tenue le 30 avril au Collège LaSalle. Les deux projets participeront au concours provincial, qui se tiendra à Québec le 18 juin. Des élèves du Centre Mackay et de l’école primaire Dalkeith ont aussi été nommés pour des prix et ont remporté le prix « Coup de Cœur » dans leurs catégories respectives. Au total, 830 élèves de la CSEM ont participé à la création de 78 projets et 50 d’entre eux ont été choisis pour recevoir des subventions d’entrepreneuriat de la CSEM et 34 ont été inscrits au concours d’entrepreneuriat de Québec. Des élèves du secondaire III de Perspectives I ont participé à un projet spécial « Projet Particulier I5+ » et se sont inscrits à une classe d’entrepreneuriat. Après une session de remue-méninges, les élèves ont convenu de fabriquer leurs propres t-shirts pour les vendre dans la communauté et pour faire passer le message que la solidarité rend l’apprentissage et la collaboration plus fluides. Ils ont aussi décidé qu’une portion du produit des ventes irait à la Fondation Guzzo qui appuie la santé mentale des enfants, Pour le Terrarium, des élèves de l’école secondaire LINKS ont appris à construire des « jardins urbains » en se servant de bouteilles en plastique recyclées. Les élèves ont transformé les bouteilles en pots et ont transplanté des fleurs et des plantes dans les bouteilles. Et, récemment, l’école primaire Dalkeith a acheté de nouvelles chaises pour des évènements dans son gymnase. Les élèves ont décidé qu’il serait dommage de jeter les vieilles chaises en métal et qu’elles pouvaient être réparées et vendues à la communauté locale. Les élèves ont commencé par réparer et sabler les chaises. Elles ont ensuite été peintes, décorées et un coussin a été ajouté. Finalement, les Leaders on Wheels sont des élèves en chaise roulantes de l’école du Centre Mackay qui lèvent des fonds en vendant leur fameux Cajun spice rub et leur triple chocolate brownies. Vendus en divers lieux et à diverses époques tout au long de l’année, le produit des ventes est remis l’hôpital de Montréal pour enfants. CÉLÉBRATION D’ANNIVERSAIRE: L’école primaire internationale Michelangelo a tenu sa célébration du 25e anniversaire, le dimanche 24 mai, qui a été suivie par une foire communautaire avec jeux, musique et camions de nourriture. Michelangelo est une école certifiée BI autorisée à enseigner le programme BI du primaire. Les écoles BI partagent une philosophie commune, un engagement à une qualité supérieure et une éducation internationale que Michelangelo croit être de la plus haute importance pour les élèves. L’école s’efforce d’intégrer les élèves à la vie présente et future en leur offrant les outils requis pour tenir un rôle constructif dans la société, tout en développant des valeurs positives. L’accent n’est pas seulement mis sur l’acquisition de connaissances mais sur le développement chez les jeunes d’un désir de créer un monde meilleur et plus paisible, par le biais du respect et de la compréhension des nombreuses cultures du monde. L’école offre aux élèves l’essentiel de l’apprentissage permanent en créant des environnements qui suscitent la curiosité intellectuelle. « Lorsque les élèves quittent Michelangelo, nous nous attendons à ce qu’ils aient un esprit de recherche, qu’ils aient des principes, qu’ils soient équilibrés, attentionnés, communicateurs, réfléchis, ouverts d’esprit et qu’ils prennent des risques » déclare la directrice Anna Della Rocca. Pour écouter la chanson du 25e anniversaire de Michelangelo et beaucoup plus, allez à www.emsb.qc.ca/michelangelo. SEMAINE DES SERVICES DE GARDE: Le programme des Services de garde Before and After School Enriched (B.A.S.E.) a célébré la Semaine des services de garde du 11 au 15 mai avec son septième festival annuel d’arts créatifs. Le thème de cette année a été Always Shining Brightly! En collaboration avec l’Association des services de garde en milieu scolaire du Québec (ASGEMSQ), ce festival d’arts créatifs a mis en vedette les six bases éducatives de B.A.S.E. (Devoirs et collations, Activité physique, Conscience environnementale, Connaissance des médias, Arts créatifs et Programmes spécialisés) par le biais de diverses représentations et expositions qui ont eu lieu au centre administratif et dans divers services de garde. Les élèves de B.A.S.E. de la prématernelle à la 6e année ont travaillé avec ardeur depuis octobre 2014 pour présenter leurs nouvelles habiletés acquises et des représentations en direct à ce festival. Les élèves ont exécuté tous les projets de la conception au produit fini. Un total de 15 services de garde a pris part aux festivités de la Semaine des Services de garde de cette année. VOIR COMMUNIQUÉ DE PRESSE pour toutes les activités. Il y a 29 services de garde à la CSEM et plus de 3 000 élèves participent au programme B.A.S.E. qui est animé par 29 technicien(ne)s, 200 éducateur (trice) s, plusieurs conseillers et près de 20 tuteurs de Concordia et de l’Université McGill. TRIPLEX NERVOSA: Des élèves des classes d’anglais de Lisa Trotto et de Donovan King du Centre des adultes Galileo de Montréal-Nord ont récemment assisté à la représentation d’ouverture de Triplex Nervosa de Marianne Ackerman au théâtre Centaur. Cette pièce comique raconte l’histoire d’une jeune femme ambitieuse qui a utilisé jusqu’à son dernier sou de ses économies de toute une vie et à mis sa carrière musicale en attente pour acheter un triplex dans le quartier Mile End de Montréal. La journée passée au théâtre a été un évènement particulièrement significatif pour plusieurs de nos élèves aux besoins particuliers, parce que c’était la première fois qu’ils vivaient l’expérience de voir une représentation en direct, de parler aux acteurs et, pour certains d’entre eux, de prendre le métro et d’explorer un nouveau quartier de Montréal. Après le spectacle, les acteurs ainsi que l’auteure et le producteur, ont entamé des conversations avec les élèves. À la grande surprise de l’auteure, les élèves de Galileo lui ont présenté un bouquet de fleurs pour la féliciter de son excellent travail. Pour les enseignants de Galileo, c’est un très grand plaisir de trouver des moyens de responsabiliser les élèves tout en appuyant les arts. Le théâtre a un effet bénéfique sur nos élèves et le département d’anglais a consacré beaucoup de temps à expliquer comment le théâtre est le pinacle de l’utilisation de la langue. CAMP DE JOUR: Le Camp de lecture d'été chez Les Associés d'apprentissage de Montréal est un camp de jour pour les élèves du niveau primaire, qui éprouvent des difficultés en lecture. Les matinées sont dévouées à l'apprentissage intensif de la lecture avec une orthopédagogue, tandis que les après-midis sont concentrés sur des jeux et activités qui renforcent les objectifs. Le Camp se déroule en français du 6 au 24 juillet et en anglais du 3 au 21 août. L'espace est limité à cause du faible ratio élève-intervenant. Pour de plus amples informations: www.lammtl.org ou pour inscriptions: 514-989-9360. ¨PHILÉMON ET BAUCIS: Au début de l’année scolaire, les deux classes de 5e année sont allées voir la pièce de théâtre Philémon et Baucis jouée par des marionnettes. Ils ont aussi participé à un atelier avec les marionnettistes pour apprendre et comprendre comment manipuler les marionnettes. Par la suite, les élèves de 5e année ont adapté Philémon et Baucis pour faire leur propre pièce de théâtre. Les élèves ont donc créé des marionnettes. Celles – ci ont été fabriquées en utilisant divers matériaux comme du carton, des plumes, du tissu, du coton, des bâtons et de la colle. Ils ont investi beaucoup de leur temps pour inventer des marionnettes originales qui représentaient fidèlement les personnages dans la pièce de théâtre. Ils ont aussi énormément pratiqué pour bien savoir manipuler leur marionnette. La représentation fut un succès! Les élèves sont très fiers de leur marionnette et de leur travail! FRANCOFOLIES A L`ÉCOLE CARLYLE: Un grand rassemblement a eu lieu à l’école Carlyle, le mercredi 22 avril 2015. Comme à chaque année, les classes de 5e année ont monté une pièce de théâtre en français sous la direction de Mme Alessandra et Mme Laurence. Cependant, cette année nous avons voulu innover en montant une pièce de marionnettes! Les élèves ont écrit le script en adaptant l’opéra Philémon et Baucis de Haydn et ont fabriqué les marionnettes et les décors. Pour compléter le spectacle, les autres classes de l’école ont voulu souligner le Jour de la Terre en chansons et comptines. En ce 22 avril, nous voulions mettre en valeur deux éléments qui tiennent à cœur aux élèves et aux enseignants de Carlyle, soit la francophonie et l’environnement. ON AIR: La classe de 6e année de l’école Carlyle vient tout juste d’enregistrer son émission de radio. Après recherche, rédaction, sondage, entrevue, etc. les élèves étaient prêts à transmettre l’information au Grand Montréal. La classe s’est concentrée sur la grande question de la responsabilité de l’homme dans la protection de l’environnement. Les élèves nous ont informés, divertis et conscientisés sur cet enjeu. Ce projet a été rendu possible grâce à Radio Centre-Ville (102.3 FM), la bibliotheque. The next Focus will be published on June 18. Submissions should be made to Michael J. Cohen preferably by e-mail (mcohen@emsb.qc.ca) by June 12.